In February of 1984, I built 12 of these Pine chests. 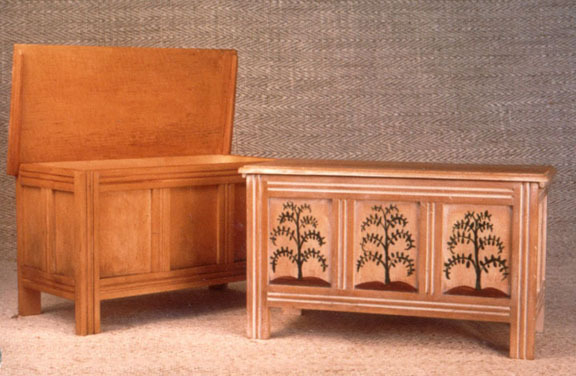 These are a simpler chest than the Cedar chests, in that there are no drawers. However, the construction is more elaborate, in that the sides and ends are frame and panel construction. Many pieces of furniture from this era were painted for embellishment, as is the piece on the right.